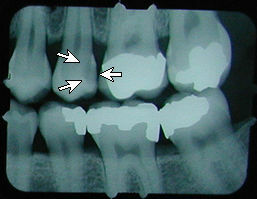 X-rays are the only way to identify problems that aren’t externally visible. 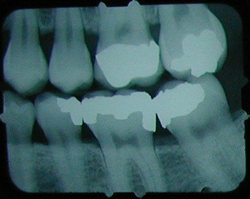 X-rays are very essential in doing a complete and thorough dental examination. They are especially important in diagnosing serious conditions early to allow for effective treatment before you experience discomfort. X-rays show bone anatomy and density, decay between the teeth or how extensive the decay is, whether an abscess is present, impacted teeth, or if children have permanent teeth. Our office uses the most up to date X-ray technology. By utilizing digital X-rays, patients have up to 80% less radiation exposure than in the past.